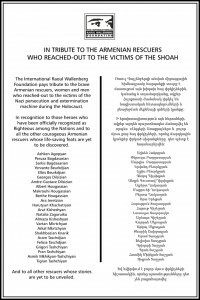 The Board of the International Raoul Wallenberg Foundation (IRWF) has decided to create a Memorial Plaque to pay tribute to the brave Armenian women and men who reached-out to the victims of Holocaust. 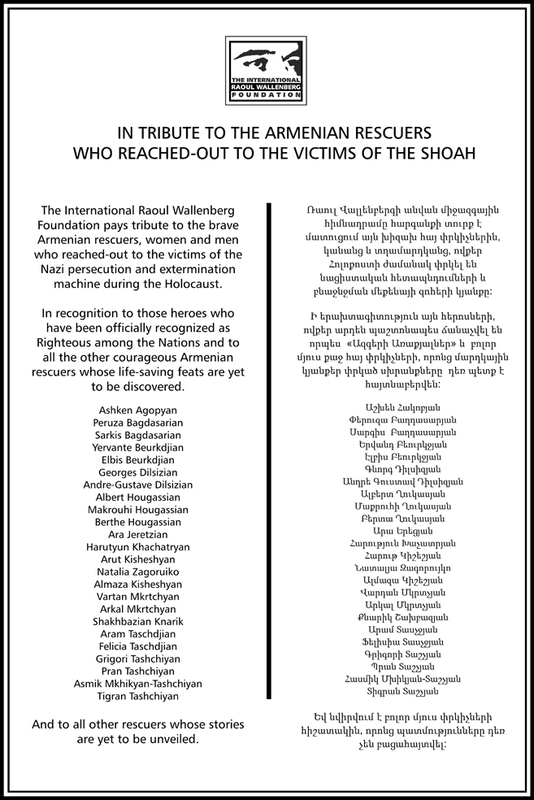 To date, 24 Armenians have been officially recognized as Righteous among the Nations, but many more stories are waiting to be revealed. The same will be unveiled in a special ceremony at a future date to be determined.